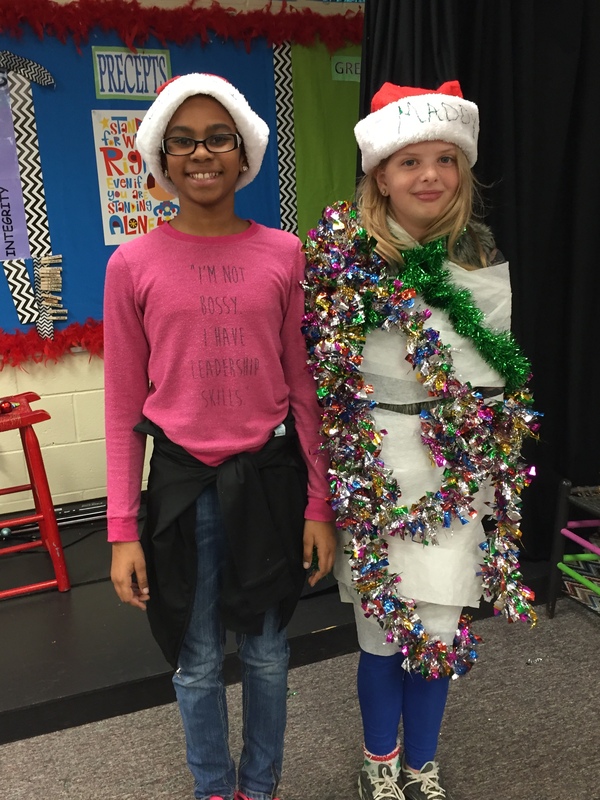 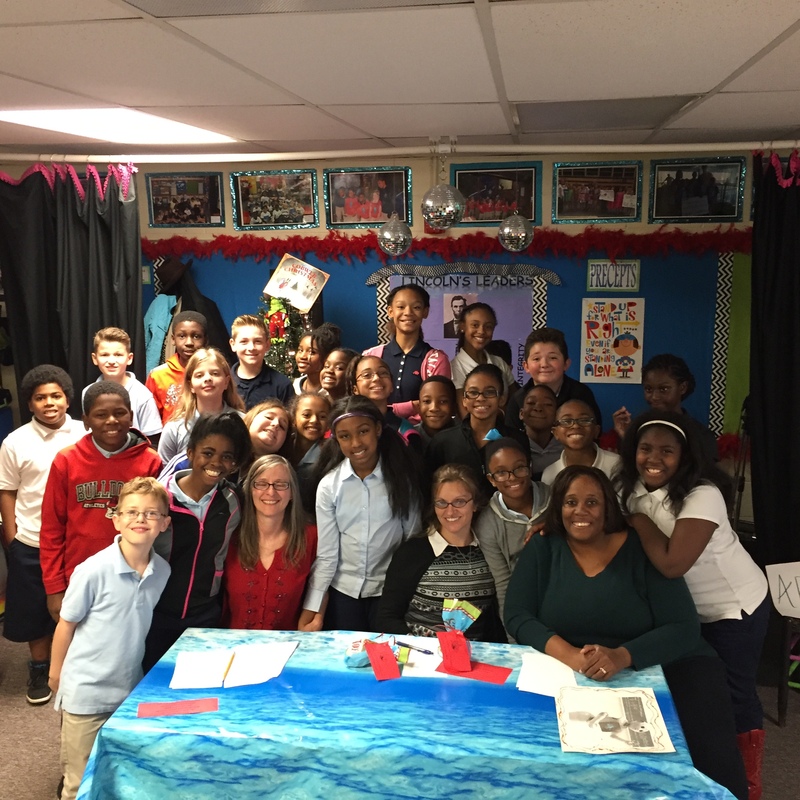 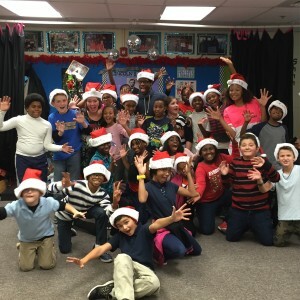 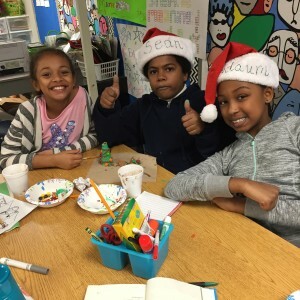 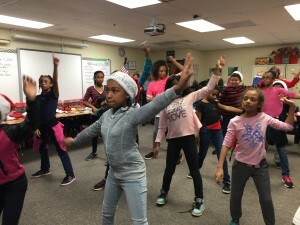 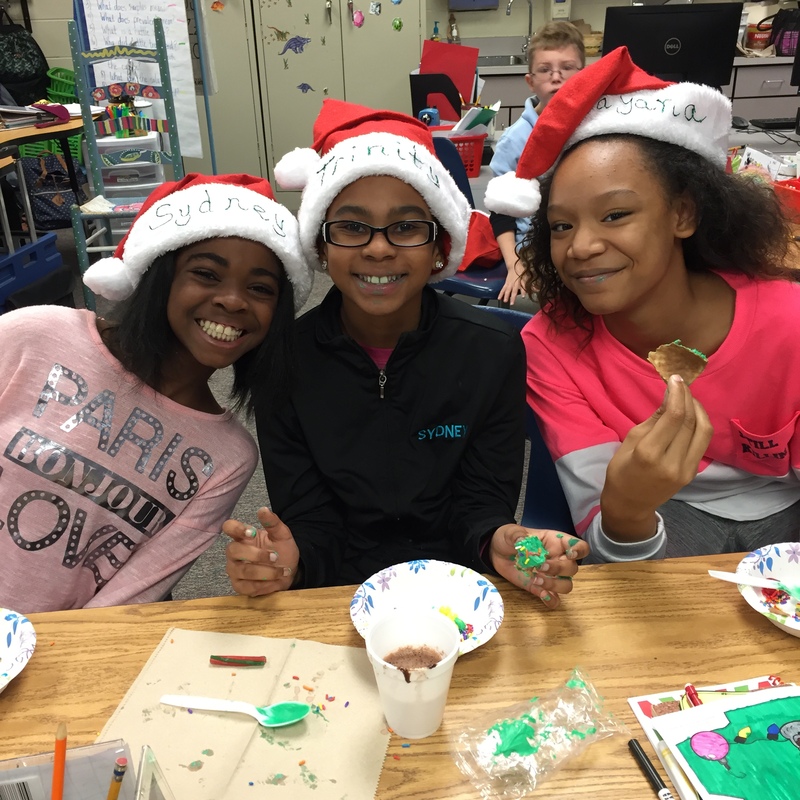 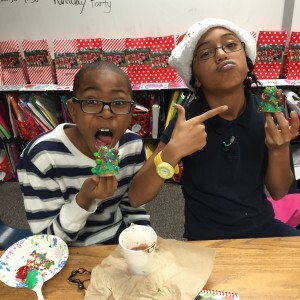 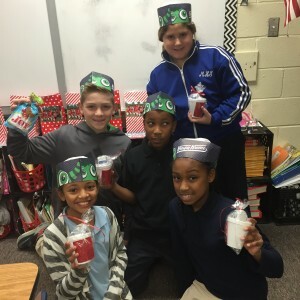 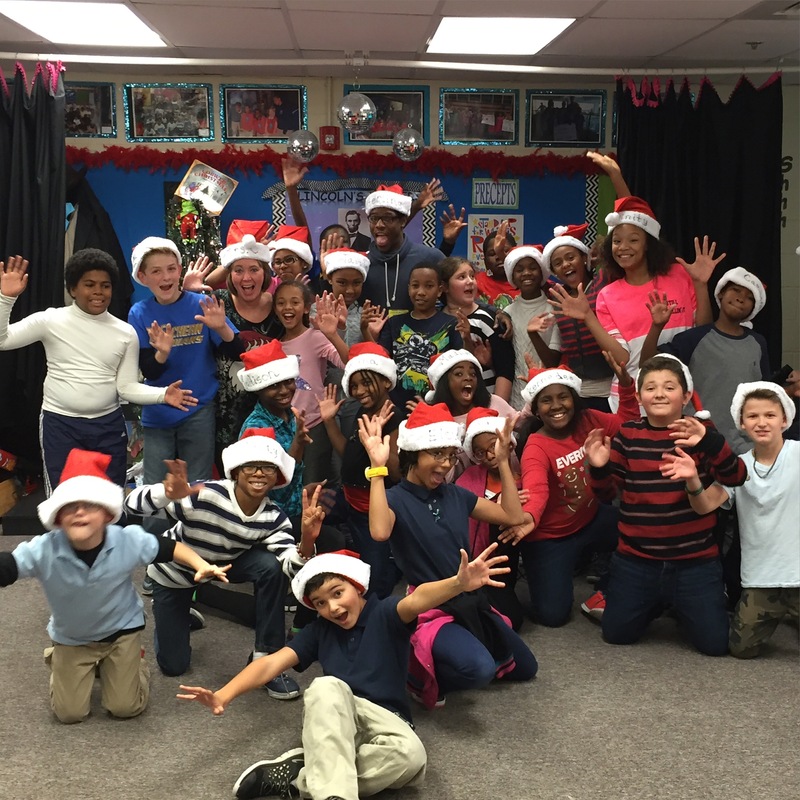 Holiday Party- 5th Grade Style! 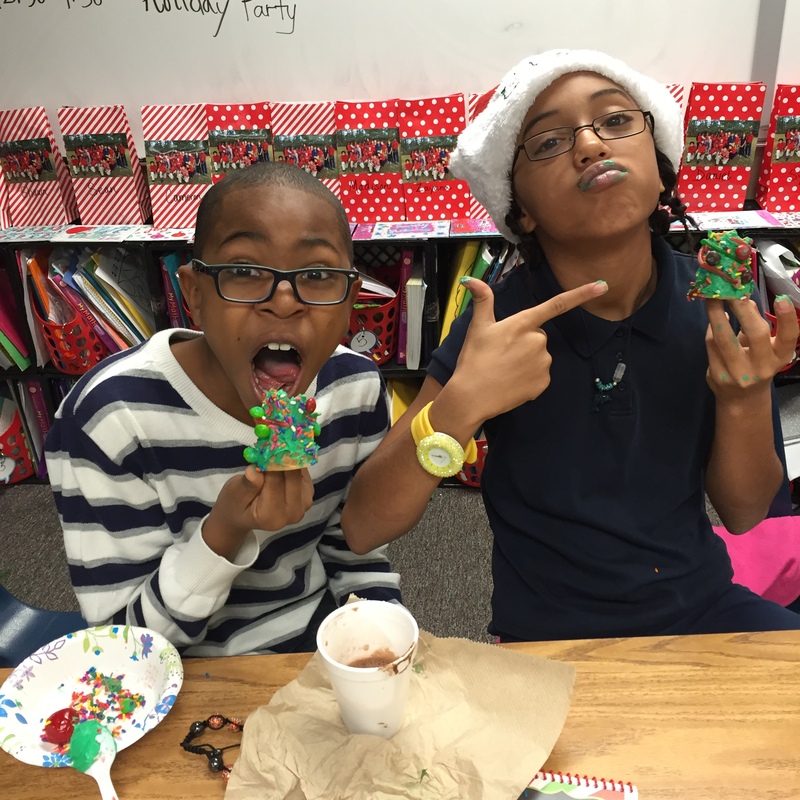 The day was filled with special guests and special treats! 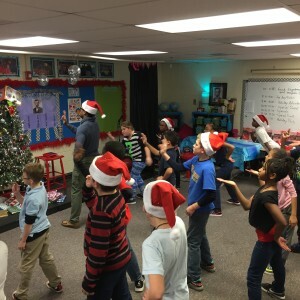 The morning began with Mrs. Daves dropping by to help us make delicious Christmas trees made from ice cream cones, followed by Mr. Sterling leading us in a holiday dance session. The day ended with food and games and LOTS of laughter! 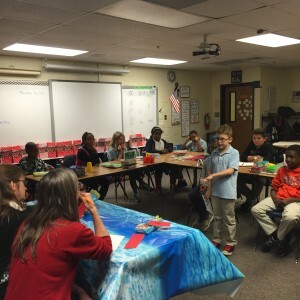 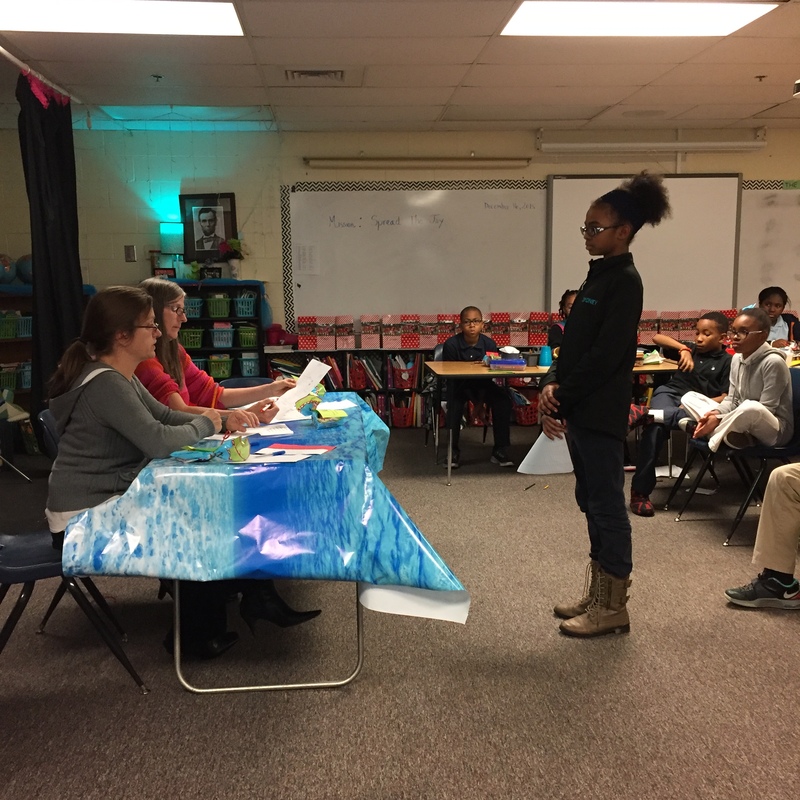 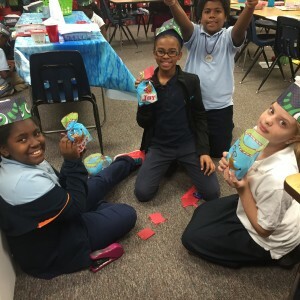 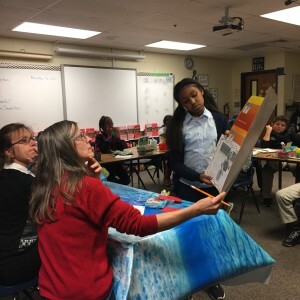 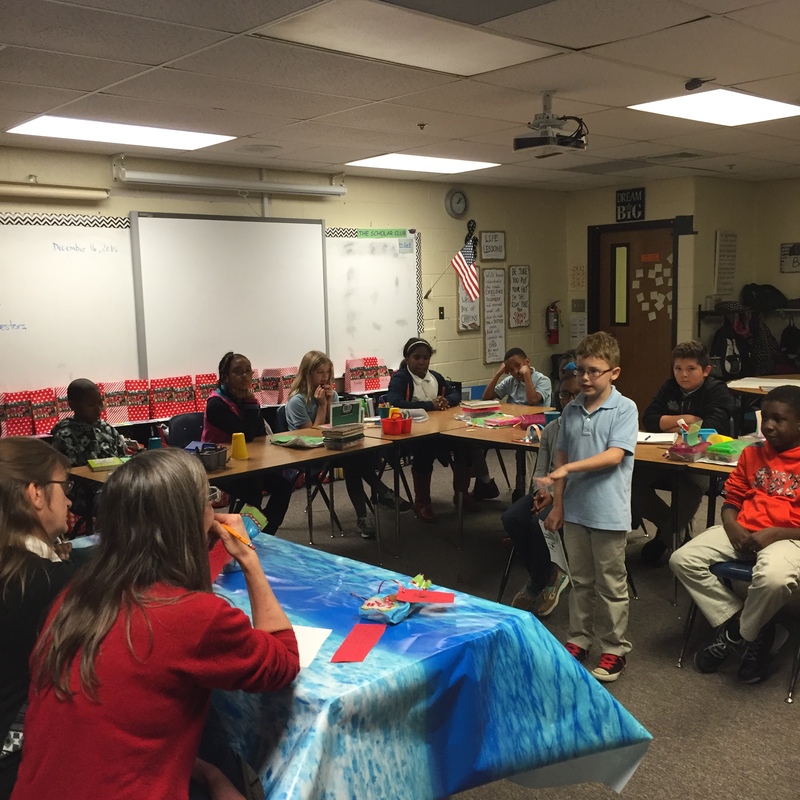 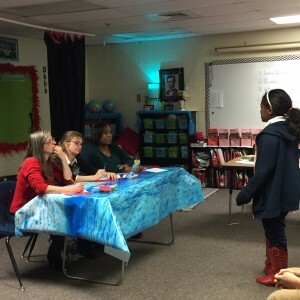 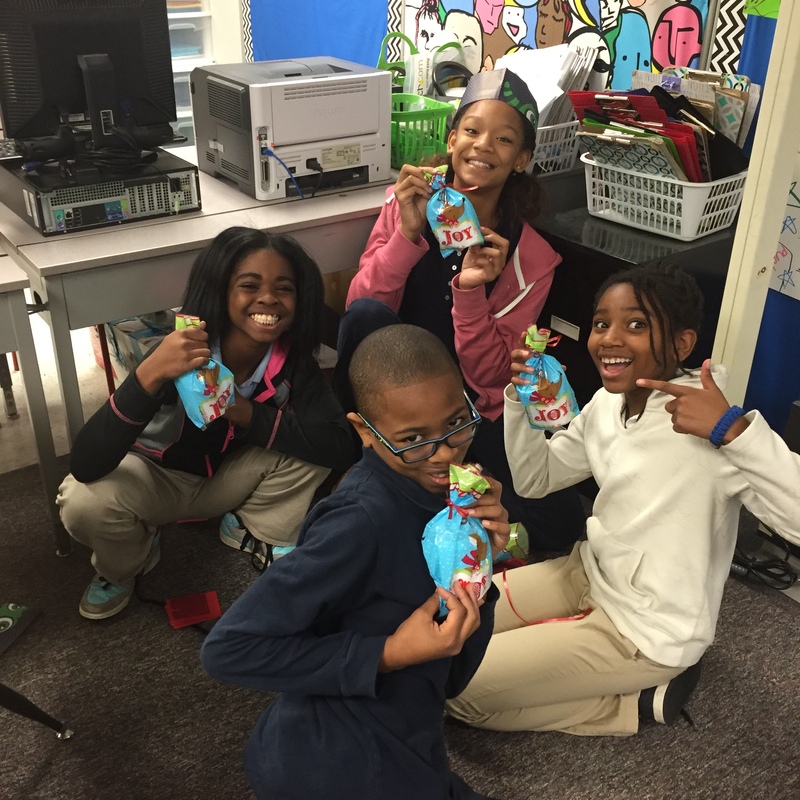 This week our class presented invention ideas to a group of “sharks” who were looking for investment opportunities! Let me say how very impressed we all were with the amount of time our students spent creating amazing inventions! From a “coin portal” that would allow people to choose any city in the world to visit, to a backpack that automatically adjusts weight, these ideas were INGENIOUS! 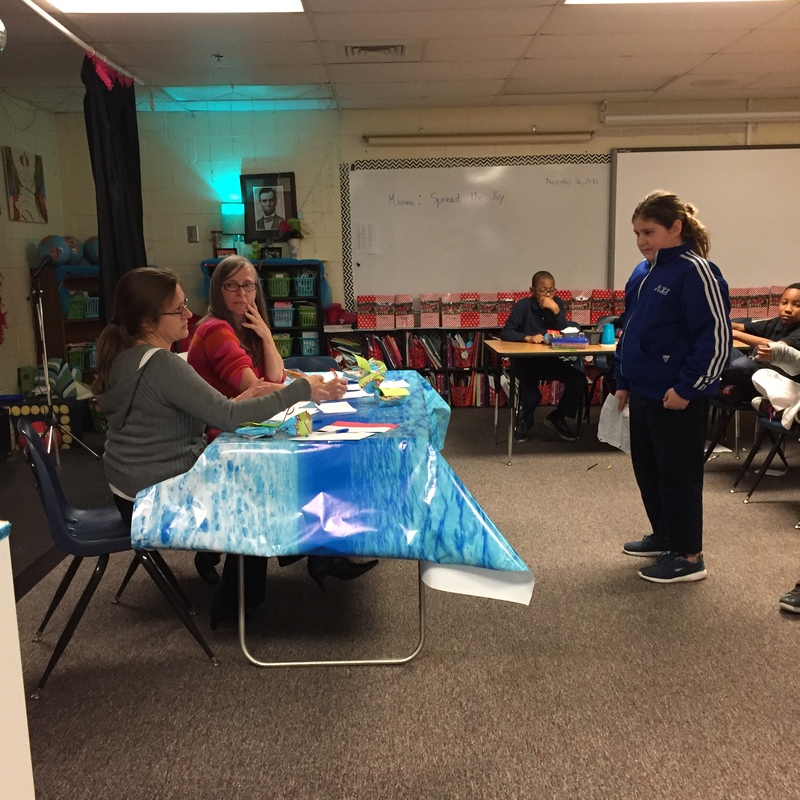 Special thanks to Mrs. Felton, Mrs. White-Trout, Mrs. Daves, and Mrs. Shyman for being some of the best “sharks” we’ve ever seen! Look out ABC Studios! Mission: Spread the joy at PSE! 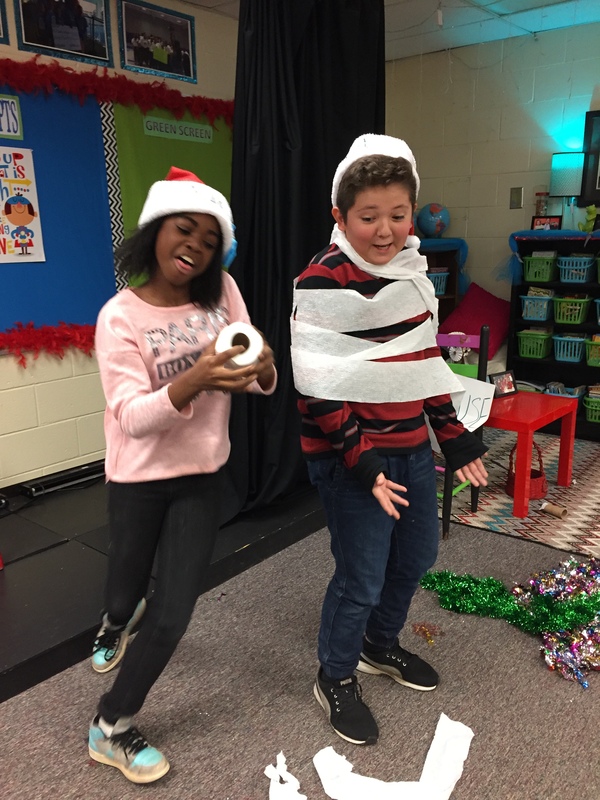 As the holidays quickly approach, we decided to conduct our own random acts of holiday kindness and give joy cups (hot cocoa and a peppermint stick) to various staff members and students at PSE. 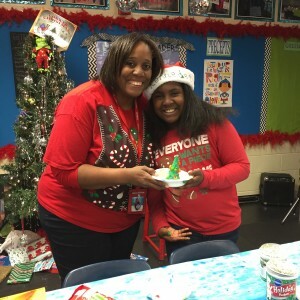 My favorite part was hearing the stories when the students returned from delivering their gift. 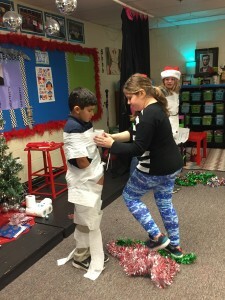 Priceless moments!